A Bishopstoke shop worker was pushed into a door when she tried to stop a man leaving with unpaid goods. 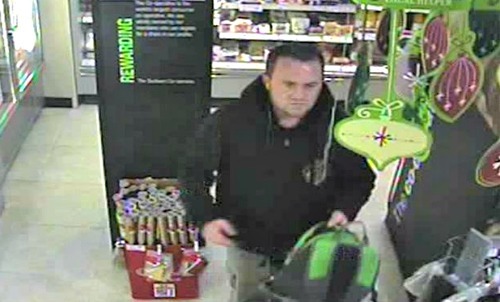 The man was walking out of the Co Op on Spring Lane with two jam jars when he was confronted by the member of staff, as a result Police are issuing a CCTV image of a man they say they would like to speak to about the incident. He left on a bicycle which is described as a black mountain style bike with suspension to the front. The woman was uninjured although shaken by the incident. The jars of jam are valued at £1.16 each. Police would like to hear from anyone who recognises the man from the description or recognises the man in the image. Anyone with information is asked to call PC Matthew Williams at Eastleigh police station on 101 or the anonymous Crimestoppers charity on 0800 555 111. Our ‘local’ FIB DEM MP Thornton posted this on twitter as happening in ‘Fair Oak’? Which is it?